The latest MPAA tax filing shows that the revenue generated by the anti-piracy group has stabilized after a few rocky years. The group's main income sources are major Hollywood studios, which contribute $65 million a year. The filing further reveals that MPAA boss and former Senator Chris Dodd earned an income of more than $3.5 million. Protecting the interests of Hollywood, the MPAA has been heavily involved in numerous anti-piracy efforts around the world in recent years. Through its involvement in the shutdowns of Popcorn Time, YIFY, isoHunt, Hotfile, Megaupload and several other platforms, the MPAA has worked hard to target piracy around the globe. Perhaps just as importantly, the group lobbies lawmakers globally while managing anti-piracy campaigns both in and outside the US, including the Creative Content UK program. All this work doesn’t come for free, obviously, so the MPAA relies on six major movie studios for financial support. After its revenues plummeted a few years ago, they have steadily recovered and according to its latest tax filing, the MPAA’s total income is now over $72 million. The IRS filing, covering the fiscal year 2015, reveals that the movie studios contributed $65 million, the same as a year earlier. Overall revenue has stabilized as well, after a few years of modest growth. Going over the numbers, we see that salaries make up a large chunk of the expenses. 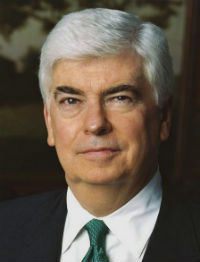 Former Senator Chris Dodd, the MPAA’s Chairman and CEO, is the highest paid employee with a total income of more than $3.5 million, including a $250,000 bonus. It was recently announced that Dodd will leave the MPAA next month. He will be replaced by Charles Rivkin, another political heavyweight. Rivkin previously served as Assistant Secretary of State for Economic and Business Affairs in the Obama administration. In addition to Dodd, there are two other employees who made over a million in 2015, Global General Counsel Steve Fabrizio and Diane Strahan, the MPAA’s Chief Operating Officer. Looking at some of the other expenses we see that the MPAA’s lobbying budget remained stable at $4.2 million. Another $4.4 million went to various grants, while legal costs totaled $7.2 million that year. More than two million dollars worth of legal expenses were paid to the US law firm Jenner & Block, which represented the movie studios in various court cases. In addition, the MPAA paid more than $800,000 to the UK law firm Wiggin, which assisted the group in local site-blocking efforts. Finally, it’s worth looking at the various gifts and grants the MPAA hands out. As reported last year, the group handsomely contributes to various research projects. This includes a recurring million dollar grant for Carnegie Mellon’s ‘Initiative for Digital Entertainment Analytics’ (IDEA), which researches various piracy related topics. IDEA co-director Rahul Telang previously informed us that the gift is used to hire researchers and pay for research materials. It is not tied to a particular project. We also see $70,000+ in donations for both the Democratic and Republican Attorneys General associations. The purpose of the grants is listed as “general support.” Interestingly, just recently over a dozen Attorneys General released a public service announcement warning the public to stay away from pirate sites. These type of donations and grants are nothing new and are a regular part of business across many industries. Still, they are worth keeping in mind. It will be interesting to see which direction the MPAA takes in the years to come. Under Chris Dodd it has booked a few notable successes, but there is still a long way to go before the piracy situation is somewhat under control. MPAA’s full form 990 was published in Guidestar recently and a copy is available here (pdf).